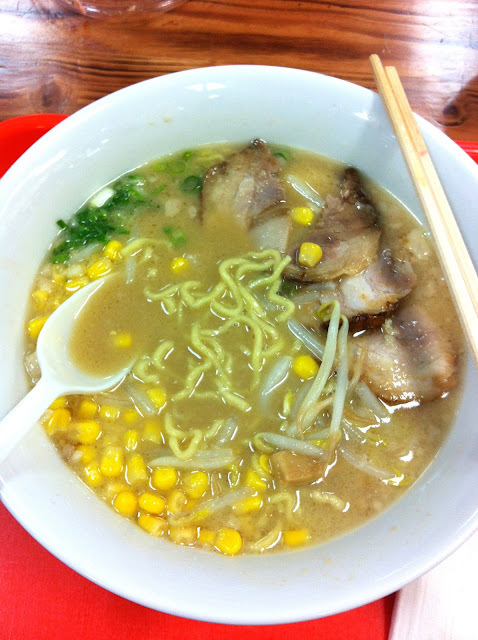 Here we go again with my Shirokiya Ramen Shop updates! New to the scene this month is Yama Arashi, straight from Sapporo, Hokkaido. Here only until Jan 15, you better start making your rounds! What's different about this ramen from my countless other entries? See all here, here, here, here, here, here, annnnnd here. PHEW! Well, for starters, I love the creamy broth topped with a slice of butter, their different topping options and their al dente (firm) noodles. My favorite is their #1 most recommended, which comes with butter corn, sprouts, onions, 4 slices of roasted pork, and bamboo shoots. My most favorite though? The slice of butter on top! Duh! Trust me, it makes the soupy broth that much more tasty. My advice? Slowly swirl the butter around so that it melts evenly in the broth. Delicious. 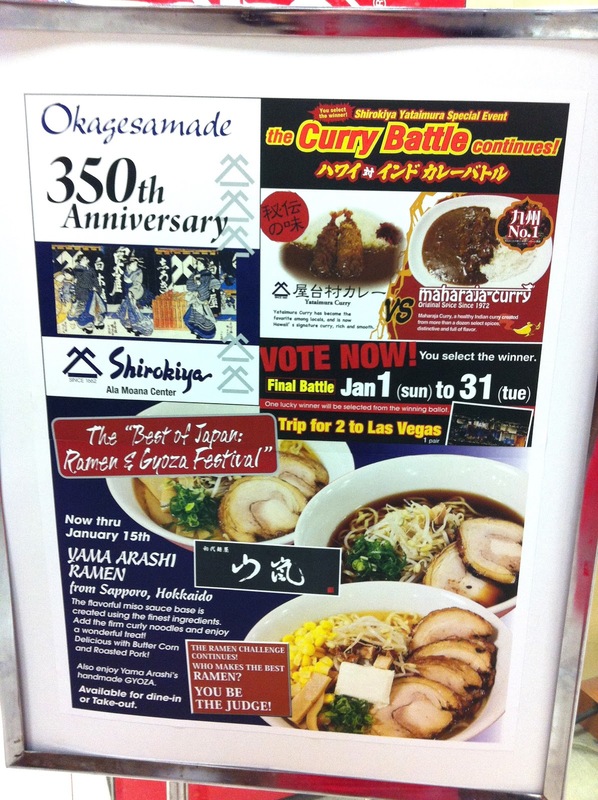 Yama Arashi is definitely at the top of my list of favorite ramens so far. Now I know why people are addicted to Butter Ramen........! Same thing on a different occasion with an even bigger slice of butter! I always feel overwhelmed when I'm in Shirokiya's food court. I feel like a dog who saw a squirrel. LOL That's when I have a hard time controlling my ADD, that's for sure. That ramen looks good! I think I better run down to Alas soon!